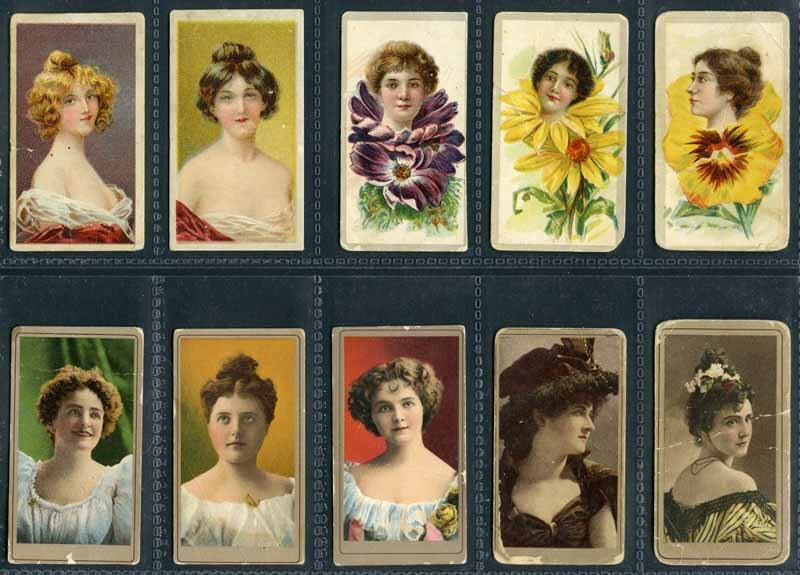 ATC and BAT 1901-1903 Actresses and Beauties selection of 33 different cigarette cards including Light and Dark Brown Frame Lines with mixed backs (13), Lantern Girls (2), Stippled Background (5), Flower Girls (3), Water Girls (3) and Actresses Photographic (2). Mixed condition. Wills 1913 Animals, 1910 Arms & Armour, 1910 Arms of the British Empire, 1914 Australian Butterflies, 1912 British Empire Series, 1908 Flag Girls of All Nations (Mixed Captions), 1913 Historic Events, 1913 Royal Mail, 1912 Signalling Series, 1907 Time & Money in Different Countries, 1915 Victoria Cross Heroes, 1915 War Incidents A Series, 1934 Wild Animal Heads (Standard Size Cards) and 1906 Wild Animals of the World cigarette cards sets. Odd minor fault, but mainly very good to excellent condition. Catalogue Value £1,320.00. Selection of 538 Wills cigarette cards including 1912 Birds of Australasia Yellow backs (60/100, plus 33 duplicates), 1913 Australian Wild Flowers Specialities (47/50, plus 67 duplicates), 1925 Australian Scenic Series set, plus 61/100, 1928 The Nation's Shrines set and 1929 Crests and Colours of Australian Universities, Colleges and Schools set, plus 67/100. Some faults, but mainly VG condition. Catalogue Value £489.00. Wills 1914 Australian Butterflies (43/50), 1929 Crests and Colours of Australian Universities, Colleges and Schools (38/68), 1927 Dogs with album clause (13/20) and no album clause (13/20), 1928 Dogs 2nd Series (19/20, plus 9 duplicates), 1929 English Period Costumes (24/25) and 1913 Popular Flowers (14/50), plus Great Britain Gallaher 1938 Dogs 2nd Series set of 48. Mainly VG condition. Catalogue Value £450.00. Collection of 748 cigarette and trade cards including Wills 1910 Arms & Armour (47/50), 1910 The World's Dreadnoughts (24/25), 1915 Victoria Cross Heroes (22/25), Amalgamated Press 1926 Modern Motor Cars (17/32), 1928 England's Test Cricketers (9/16), 1929 Exploits of the Great War (14/16), 1929 Thrills of the Dirt Track (15/16), Boys Cinema 1922 Famous Heroes set of 24, A.W.Allen 1926 Wrestlers (19/24), MacRobertson 1916 Sports (27/50) and Potter & Moore 1951 Famous (English) Cricketers (18/20) and Famous (Australian) Cricketers (15/20). Mainly G/VG condition. Collection of 945 cigarette cards including Adkin & Sons 1954 Butterflies & Moths, Carreras 1939 Do You Know?, Cavanders 1928 Ancient Egypt, Churchman 1938 Boxing Personalities, 1937 Treasure Trove (2 sets), Gallaher 1939 Army Badges, 1935 Stars of Screen & Stage (Green Back), R. & J. Hill 1940 Famous Ships, Morris & Sons 1924 Animals at the Zoo (Grey Back), Godfrey Phillips 1936 Famous Minors, Nicolas Sarony & Co 1929 Saronicks (Medium Size Cards) and United Kingdom Tobacco Co 1938 Aircraft sets. Odd minor fault, but mainly very good to excellent condition. Catalogue Value £930.00. Collection of 1,054 cigarette cards including Adcock & Son 1928 Ancient Norwich (6/12), Ardath Tobacco Co Ltd 1930 Beautiful English Women (29/54), Thomas Bear & Sons 1936 Cinema Artistes set 2 (17/50), Gallaher Ltd 1924 The Zoo Aquarium (41/100), 1936 Famous Jockeys (47/48), 1934 Champions of Screen & Stage Red back set, 1937 British Birds set, 1939 Army Badges set, Richard Lloyd and Sons 1924 Old Inns Series 2 (13/25), J.Millhoff & Co 1928 England Historic & Picturesque set, 1932-33 Real Photographs A Series, 3rd, 4th (2 sets) and 5th (2 sets) Series sets, Players 1939 Uniforms of the Territorial Army (47/50), J.Wix & Sons Ltd 1934 Kensitas Flowers Silks (49/60, plus 6 duplicates), Wills 1903-06 Borough Arms scroll back unnumbered (41/50), 2nd Series (27/50), Second Edition 1-50 (22/50) and 101-150 (40/50), 3rd series with red album clause (27/50), 1927 British Butterflies (29/50), 1933 Garden Flowers set and Taddy & Co 1907 Prominent Footballers (2). Also range of Great Britain and New Zealand Trade cards. 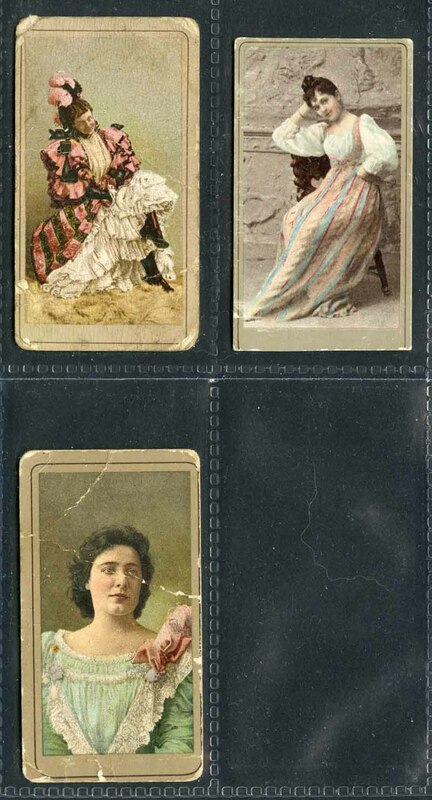 Mainly very good condition in 5 cigarette card albums. Catalogue Value £1,504.00. Carreras 1935 Popular Personalities (67/72), Players 1935 Aeroplanes (Civil), 1935 Kings & Queens of England, 1937 R.A.F. Badges (49/50), 1937 Birds & Their Young, 1937 Coronation Series - Ceremonial Dress, 1938 Military Uniforms of the British Empire Overseas, 1939 Modern Naval Craft and Wills 1934 Radio Celebrities, 1936 Railway Engines, 1937 Dogs, 1937 Wild Flowers 2nd Series and 1938 Air Raid Precautions (40/50), cigarette card sets stuck in issued folders in good condition, plus Players 1979 Top Dogs, 1980 British Birds, 1982 British Mammals (Imperial Tobacco Ltd) and 1983 British Butterflies (GRANDEE) complete cigarette card sets. Catalogue value £536.00. 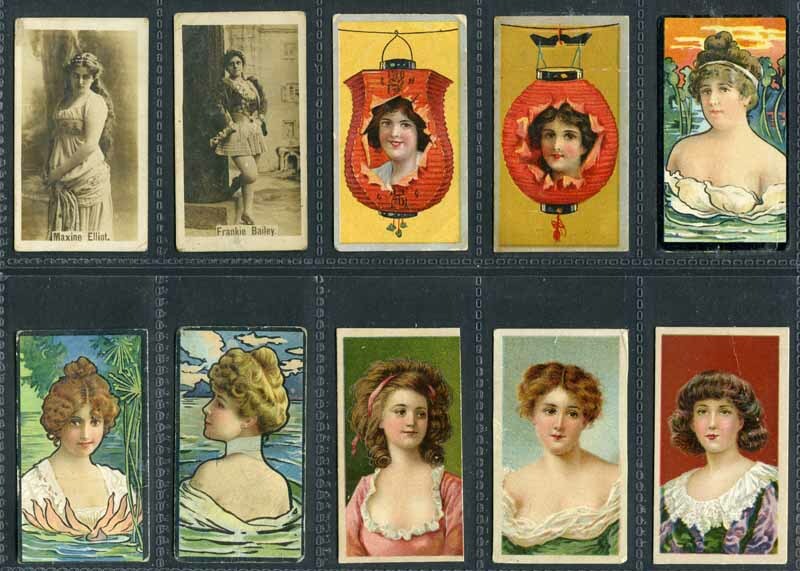 Also Nostalgia Reprints Allen & Ginter American Indian Chiefs, Cope Bros Cope's Golfers, Players Cats, Military Series, Derby and Grand National Winners (Reproduction by Victoria Gallery) and Wills Cricketers 1896 cigarette card sets. Selection of 660 cigarette cards including Cavanders 1926 Ancient Chinese set of 25, Carreras 1929 School Emblems set of 50, Major Drapkin 1928 Australia and English Test Cricketers (14/40), 1929 Limericks (28/50), Players 1933 Aviary & Cage Birds set of 50, 1927 War Decorations & Medals (80/90), Wills 1934 Safety First set of 50 stuck in special album and Wills (NZ) 1928 Romance the Heavens (49/50) and 1926 Wonders of the World (23/25), plus 4 sets of Trade cards. Mainly VG condition. Catalogue Value £654.00. Also small range of miscellaneous items. Collection of 2,052 Players cigarette cards including 1938 Aircraft of the Royal Air Force, 1932 Butterflies, 1904 Butterflies & Moths, 1905 Countries Arms & Flags (Thick Card), 1934 Cricketers 1934 (3 sets), 1913 Cries of London A Series, 1939 Cycling, 1929 Dogs by Wardle (Heads), 1926 Footballers, Caricatures by "RIP", 1928 Footballers 1928 (2 sets), 1933 Fresh-Water Fishes (Pink Back), 1934 Hints on Association Football, 1930 History of Naval Dress, 1939 Modern Naval Craft, 1938 Military Uniforms of the British Empire Overseas (2 sets), 1936 National Flags and Arms, 1935 Sea Fishes (2 sets), 1917 Shakespearean Series, 1930 Ships Flags & Cap Badges and 1916 Wonders of the World (Blue Back) sets. Odd minor fault, but mainly very good to excellent condition. Catalogue Value £1,987.00. Wills 1905-06 Borough Arms 2nd and 3rd Series, 1911 The Coronation Series, 1913 Alpine Flowers, 1913 Old English Garden Flowers 2nd Series, 1914-15 Overseas Dominions (Canada) and (Australia), 1915 Famous Inventions, 1916 Gems of French Architecture, 1916 Mining, 1922-26 Do You Know 1st, 2nd & 3rd Series, 1922 Arms of Oxford & Cambridge Colleges, 1924 Railway Engines, 1925 Heraldic Signs & Their Origin, 1926 Historic Places from Dicken's Classics, 1926 Roses, 1927 Engineering Wonders, 1927 Public Schools, 1928 Modern British Sculpture, 1928 Romance of the Heavens, 1929 Animalloys, 1929 English Period Costumes, 1931 Modern Architecture, 1931 The Boyhood of Raleigh, 1931 Strange Craft, 1931 The Toast, 1933-34 Arms of Public Schools 1st and 2nd Series, 1937 Dogs and 1939 Old Inns 2nd Series, all in complete sets in excellent condition. Catalogue Value £1,358.50. Collection of 1,560 Wills cigarette cards including 1927 British Butterflies, 1917 Allied Army Leaders, 1910 Arms of the British Empire, 1935 Association Footballers Frame on Back, 1939 Association Footballers No Frame on Back, 1915 Famous Inventions, 1939 Garden Flowers by Sudell, 1938 Garden Hints, 1923 Gardening Hints, 1936 Household Hints (4 sets), 1924 Merchant Ships of the World, 1924 Railway Engines, 1912 Roses A Series, 1925 Ships' Badges and 1911 The Coronation Series sets. 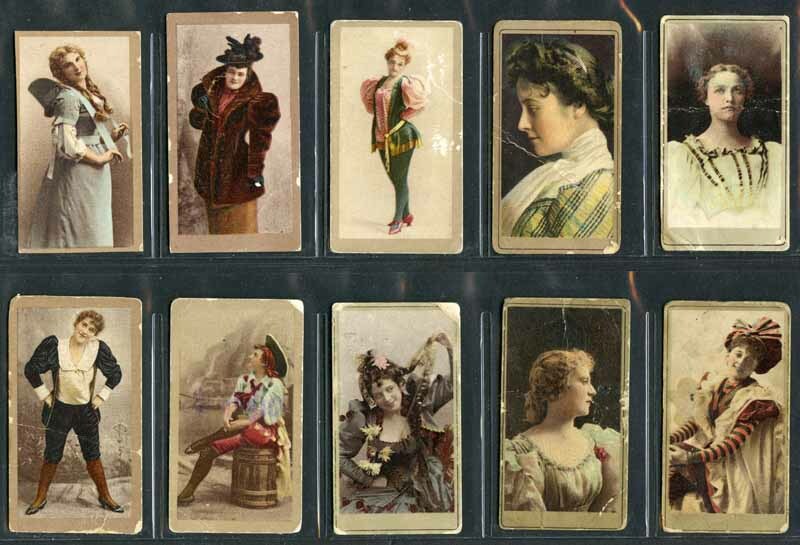 Also New Zealand collection of 179 Wills cigarette cards including 1925 Children of All Nations, 1929 Past & Present and 1925 Pirates & Highwaymen sets. Odd minor fault, but mainly very good to excellent condition. Catalogue Value £1,118.00. Collection of 835 cigarette cards including Ogdens 1900 General Interest (171/200), 1926 Captains of Association Football Clubs & Colours (41/44), R.J. Lea 1912 Miniatures Gold Border (26/50), 1913 Old Pottery & Porcelain 4th Series (34/50), 1914 Old Pottery (46/54), Godfrey Phillips 1936 International Caps (48/50), Players 1910 Regimental Colours & Cap Badges (47/50), 1929 Picturesque Bridges (24/25) and Wills 1911 Celebrated Ships (48/50), 1911 The Coronation series (49/50), 1911 Beauties with Playing Card Inset & Lattice Back (16/52), 1926 Auction Bridge (24/25), 1929 Animals and Their Furs (23/25), 1930 Railway Locomotives (48/50) and 1936 Roses (39/40). Mainly VG condition. Catalogue Value £1,184.00. Great Britain & South Africa. Collection of 226 cigarette cards including Godfrey Phillips 1936 Our Puppies (11), 1939 Our Dogs (17) and United Tobacco Co 1930 Arms and Crests of Universities and Schools of South Africa set of 24, 1930 Pastel Plates set of 24, 1931 South African Coats of Arms set, 1932 Exercises for Men and Women (48/50) and 1932 Boy Scout, Girl Guide & Voortrekker Badges (36/52). Mainly G/VG condition. Catalogue Value £260.00. United Tobacco Companies (South) Ltd 1927 South African Birds 1st and 2nd Series, 1930 Arms and Crests of Universities and Schools of South Africa, 1930 Pastel Plates, 1931 Ships of all Time, 1932 Boy Scout, Girl Guide & Voortrekker Badges, 1932 Exercises for Men and Women, 1933 Do You Know and 1939 Tavern of Seas, plus Hartley's Tobacco Co 1929 Playing Cards, all in complete sets in excellent condition. Catalogue Value £516.00. Dresden Cigarette Co 1933 Pictures and Documents of our Time in original photo's standard size card with various backs (428) and large size card (32), Waldorf-Astoria 1934 The Imperial Army and Its Tradition (318/328) and more. Mainly very good condition with some duplication. Also selection of 284 mostly Wills Australian cigarette cards including 1910 Australia and South African Cricketers Red border (9) and Blue border (4), 1911 Australian and English Cricketers (13) and more. All with faulty backs caused by photo album.